1886 Luxury Drive Watkinsville, GA 30677! Had a great experience with M-B of Athens and their superb staff member Kim Torres and her "can do" attitude. She was a pleasure to work with and her persistence on resolving some issues with the state title/registration office to expedite some paperwork was tremendous. And she did all the work for no immediate benefit to her or the dealership. I had a great first experience with M-B of Athens. She is certainly a five-star employee. 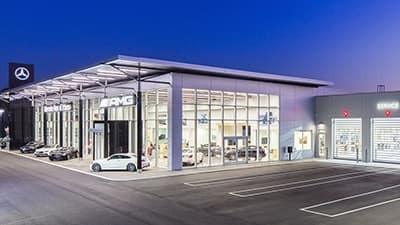 At Mercedes-Benz of Athens, our priority is taking care of our Bogart, Winterville, Watkinsville, Lake Oconee, and Monroe neighbors with our award-winning service. We’ve made it our mission to provide the widest selection of quality vehicles, top-notch repair and maintenance service, and easy, affordable financing to every client, every day. From the moment you walk through our door, we are committed to building a relationship that will last a lifetime. Our expansive inventory of more than seven hundred new, pre-owned, and certified pre-owned vehicles ensures that we will have the car you’re looking for. Browse our selection online, or take a tour of our showroom in person. Our friendly associates will be happy to answer any questions you may have and ensure that the car you purchase is right for you. Our knowledgeable finance team can help you to calculate the value of your trade and search through special offers, and you can even apply for financing from the comfort of your home or office. Because of our close relationships with local and national lenders, we can get you the lowest rate possible on your contract, making your purchase even more affordable. Whether you need parts, maintenance, or major collision repair, our state-of-the-art service center is here to take care of you. 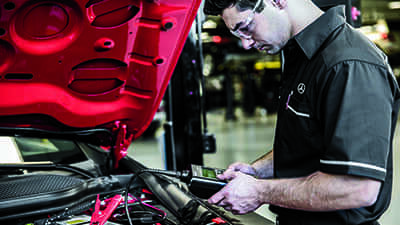 Simply schedule your appointment online or with one of our associates and we’ll pick up your vehicle, provide service, and return it to you. If the service is expected to take more than a few hours, or you need alternative transportation while you wait, we can arrange for you to drive one of our many late model loaner vehicles. 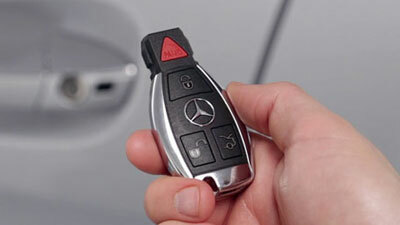 Visit Mercedes-Benz of Athens today for your luxury car needs. Our staff is standing by to provide you with exceptional customer service. We’re located at 1886 Luxury Drive, Watkinsville, GA and you can always contact us online with any questions!